Hard plastic and frayed armrests can really make working in the office a nightmare. 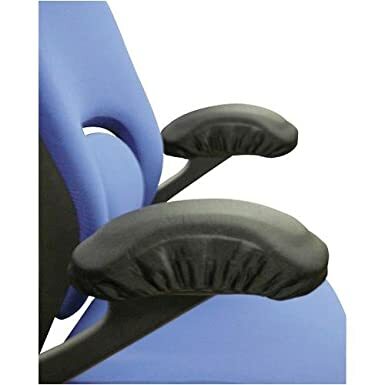 If your office chair is starting to dig into your arm or cause nerve discomfort, then it’s time you got yourself some quality Office Chair Armrest Covers. Not only could these arm pads prevent injury to your arms, but they may also actually help you be more productive in the office. 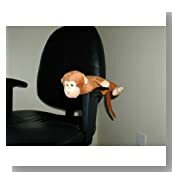 Complete your ergonomic office chair with only the best armrest covers for your office chair, wheelchair in fact just about any chair that’s giving you grief. Memory foam arm rest covers for office chairs are my all time favorite accessories. Well, in general I simply love memory foam for its ability to cater to the surface, whether it be a arm rest, chair, heavy duty mattress etc. Dual layer cushioning. 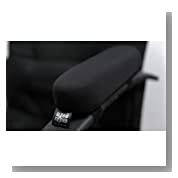 Bottom layer is normal padding while top layer that your arm rests on is made from memory foam. Memory foam contours to your arms shape providing ultimate comfort and support. Provides almost instant relief on pressure points after potential years of damage. Assists in relief for RSI/Carpal Tunnel. 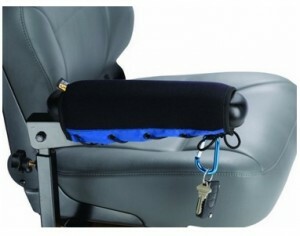 Superior alternative to gel arm rest covers. Unlike gel covers that seep out the sides of your arm and can provide little to no support. Memory foam snugs to your arm when in use and pops right back up like new again when not in use. The comfortable alternative to sharp office chair armrests. No roll effect noticeable from these gel arm rests unlike some other cheaper versions. Can reduce strain on your wrists and elbows by providing better circulation. Cheaper alternative to replacing broken or split armrests. Fits on most office chairs with arms that measure 7 to 11 inches. This twin pack of armrest covers are exactly that. Just covers, not padding like the above products. However they still have their place in the office. Firstly these are very affordable. 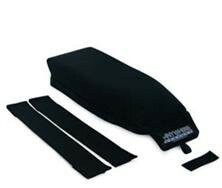 They can be used on pre existing padded arms either as a new cover to hide any fading, ripping or splits. Alternatively these covers make a great way to preserve your office chair arms from future damage and fading. The Neoprene material can also be an alternative to leather arms or irritating fabric materials. If you need padding however there are solutions. Memory foam can always be placed upon the arms and place this cover over the foam. Creating a stylish and comfortable fit. The cheaper alternative if you do have hard plastic or timber arms is to find something soft around the house. For example some old clothing could be stuffed into the cover to provide extra padding. Another option is to double up on the covers. Place 2 of these covers on one arm for twice the padding.